What is your name and role within Surf Trash? We all are based in Newcastle NSW, the Scene is pretty good plenty of greatd bands but there is becoming less venues for ALL AGES gigs and that makes it tricky for young bands starting out. Our sound revolves around surf rock roots but has a slight punker edge to a lot of it, we can’t really put a title on it, it’s such a mix of stuff. You’ve got a new single called ‘Over My Shoulder’ dropping on September the 21st, where and when did you record? We recorded it with our mate “Darcy long” he records all our stuff is great to work with, we recorded the Drums in a studio in the hunter valley called “Sonic Heavens” and recorded the rest of the track at Darcy’s home studio in elmorevale around mid July. What influenced the songwriting for this track? We wrote it late last year and I can’t really remember what we was listening to at the time, but it’s definitely abit darker then our other single “SUMMER” we always played it live and thought it would be cool to freshen up a old track so we made it abit faster. The Lyrics have deeper meaning then some of our previous songs, the song is about not looking back on bad moments in your life and just focusing on being happy. We normally all get together for a rehearsal and show each other different things were individually been working on, then if we’re all happy with a idea we work out a rough structure and record a Demo in our home studio. It’s really funny recently we have been sticking by the rules of if it takes longer then a hour for the song to fall into place we scrap the idea. How did Surf Trash form? Well nick is my brother so we have always shared a huge passion for music and we’re lucky enough to be brought up on really good music thanks to our dad, we both played in a band before surf trash but it wasn’t as serious as this, nick goes to school with locci and we just started all jamming together after surfs and then decided to start playing live in April this year. Well it’s our first ever music video and we decided to film and edit it ourselves as we felt that way we would be able to have exactly how we pictured. We shot in several locations across a couple days. You’re currently on an Aussie tour for the single, what do you find most rewarding and challenging about being on tour? I think definitely the most rewarding things is when people come up to you and tell you how much they appreciate or like your music and what it means to them, it’s also super cool when people sing the words to your songs that never gets old. The most challenging things would be trying to pack enough clean underwear and remembering to eat healthy on the road. To follow up you have a 5 track RP coming out in October, what do you have planned following the EP’s release? Once the EP is out we’re just focused on hitting the road and planning lots of shows all over the place to get people listening to our new stuff and just getting out there as much as possible. 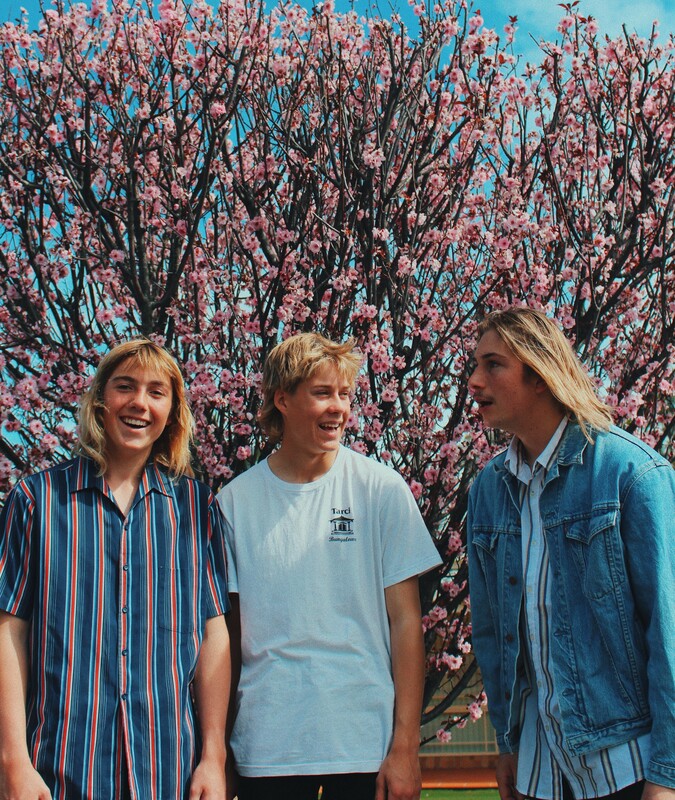 Some stuff that we have been loving is skegss debut album, West Thebarton, Totty, Last Dinosaurs, Twin Peaks and our best mates Milky thred just released a amazing single titled “Awkward” and we’re had it on repeat. Surfing and going and watching other local bands. Some of our main influences include Skegss, West Thebarton, Hockey Dad, Ramones, JET, Ruby Fields, Wavves. We’re got a couple shows in Sydney and Wollongong and up and down the coast but after that we are planning on going up to Brisbane and down to Melbourne to play as we’re had a lot of people reach out from both areas asking us to play. And our fav places to hang out are the beach and Cambridge hotel watching other bands.